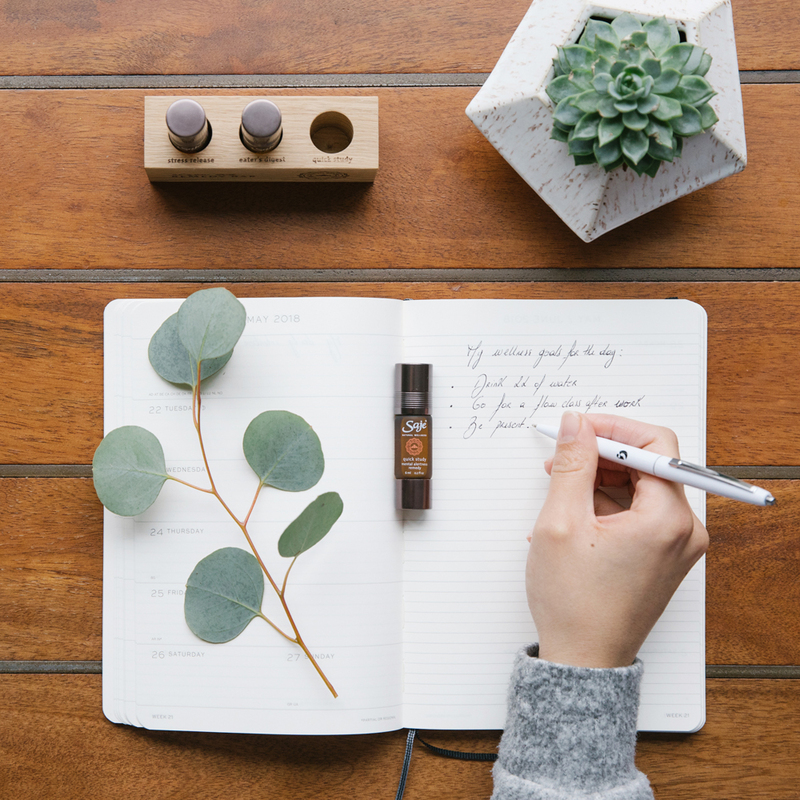 Whether you’re studying, working or need a lift in your day, get inspired with this blend of invigorating and refreshing essential oils. Bring this to your next study session, exam or long work day to keep your mind refreshed and your energy high. I bought this product in hopes of feeling more mentally alert. It smells amazing but I experienced side effects, I broke me out and after a while the smell made me feel nauseous. The myrtle in the scent is quite overpowering. I was really disappointed with the product at first. It leaked all over my purse and anywhere I put it down. I emailed Saje, to let them know and they sent me a new one immediately. It was such great customer service, and now I love the product !! The new one doesn't leak at all. Quite good for productivity but if you have sensitive skin beware of breakouts. I would apply this to my temples and maybe my skin doesn't agree with it but it wasn't for me. Otherwise the smell is refreshing. It works, but doesn't smell great. I prefer the brainstorm inhaler, but sometimes use the roller on my wrists. I had my doubts, but after using it, I love it. I use it when I am reading or studying anything. It definitely helps me focus. It also seems to help with an energy boost. It is quite a strong aroma but it definitely works. I highly recommend it for anyone needing some help focussing or even an energy boost.